As a customer of ESC you will not only benefit from our years of experience in traditional screen and pad printing. 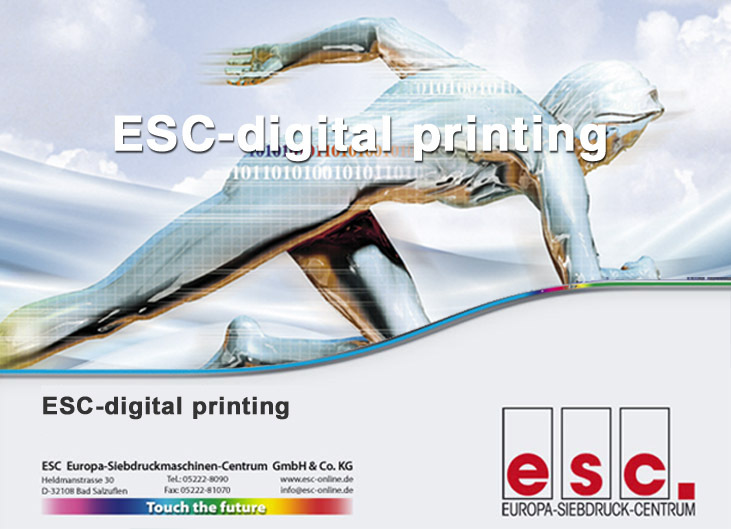 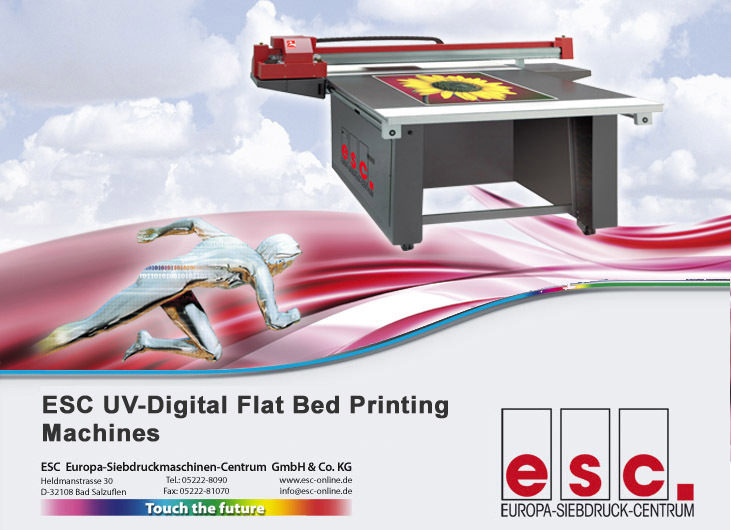 ESC offers modern solutions for industrial large-format digital printing with UV inks and spot colors, white, varnish and primers. 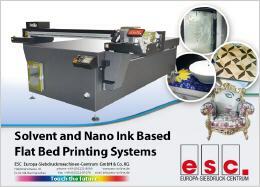 With the new solvent and nano ink based inkjet printers of ESC you will be able, to print without further treatment directly to a variety of materials such as glass, leather, wood, div. 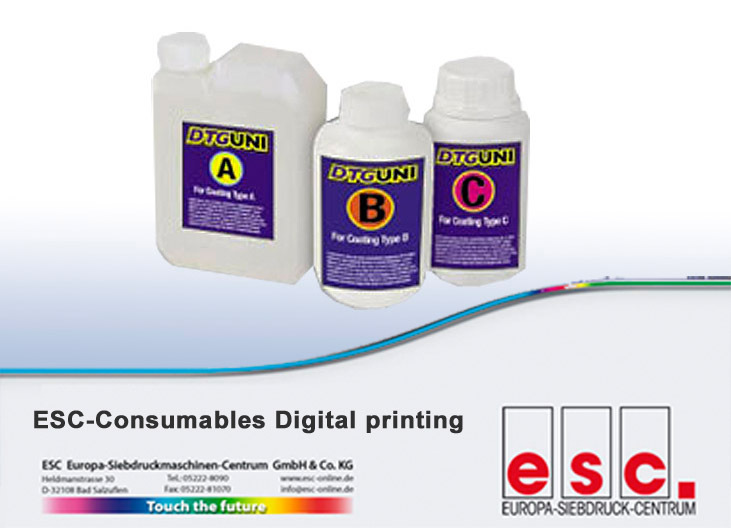 plastics, ceramics, metals, melamine etc. 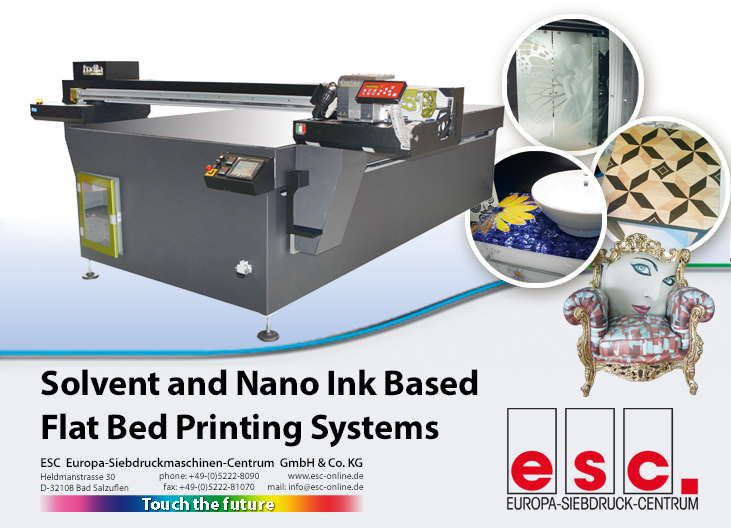 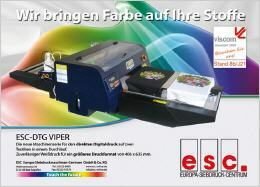 Perfect textile design is possible with the new DTG textile printing systems from ESC in a jiffy. 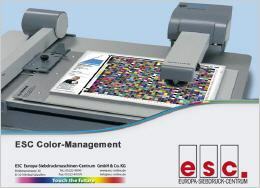 With ESC-Color-Management you get an easiy way to linearize and profile your digital output device for top color quality. 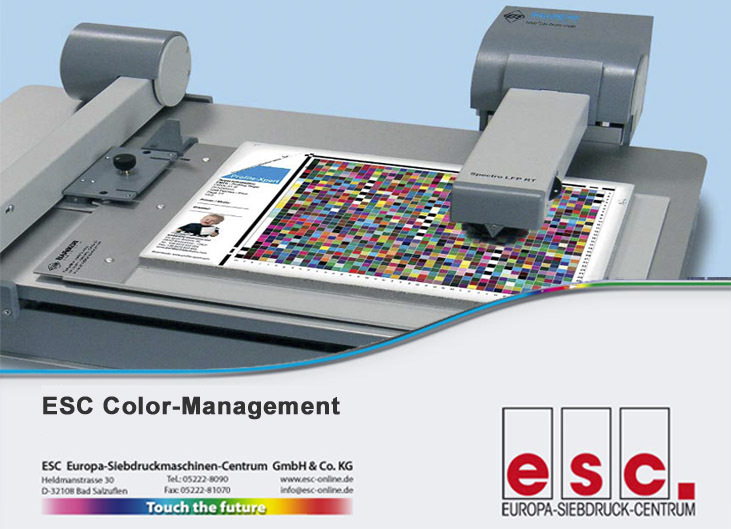 It is the ideal measuring device for production environments as it is tailored to the needs of all aqueous, solvent and UV printers. 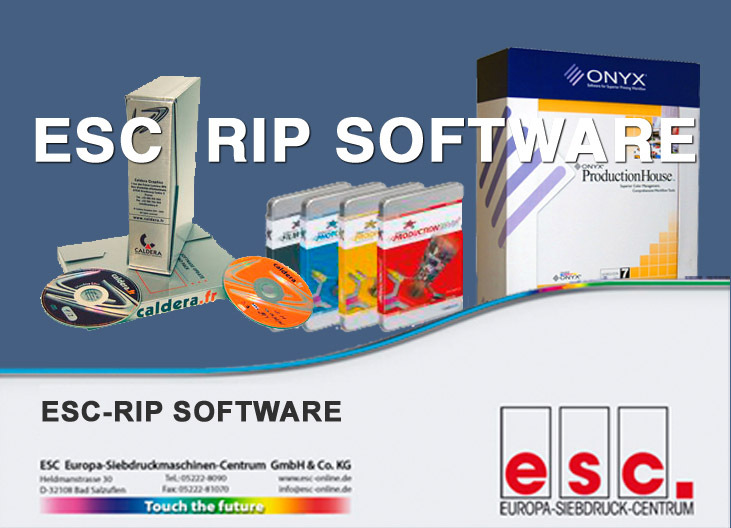 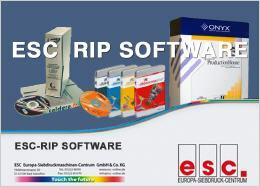 With the ESC Rip software you get the necessary separations for the production of inkjet film for screen printing or the necessary data for digital printing in perfection. 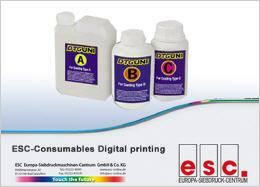 Use our large assortment of consumable materials for solvent, ultraviolet- and textil-digital printing. 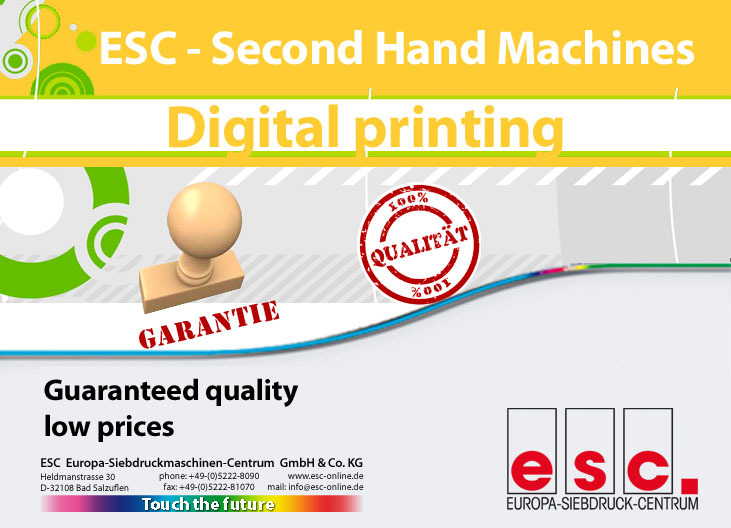 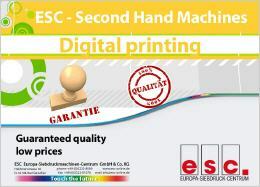 ESC`s second-hand machinery provides you with an attractive cost-saving opportunity combined with renowned quality and guarantee.